collects resources and grows. Everything that you do is in real time. 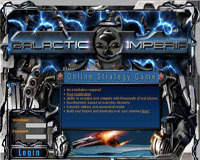 Galactic Imperia does not have turns or ticks, the action happens as it would in the real world. 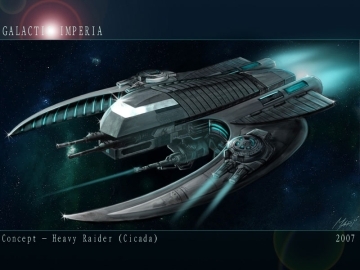 The world of Galactic Imperia takes place far in the distant future. 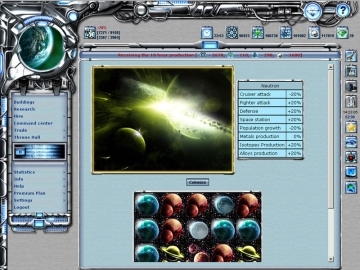 Starting with a single planet you will have many ways of making your empire the mightiest in the galaxy. Fight your enemies alone, establish alliances and federations, wage wars, colonize and expand economically – it is all up to you. Thousands of real people will be opposing you in your conquest to the top. The goal is not only to get to the top but to stay there as well, while your foes are doing their best against you. Are you ready? There is only one way to find out!